The calm, organized life of science writer Joe Rose is shattered when he sees a man die in a freak hot-air balloon accident. A stranger named Jed Parry joins Rose in helping to bring the balloon to safety, but unknown to Rose, something passes between Parry and himself on that day—something that gives birth to an obsession in Parry so powerful that it will test the limits of Rose's beloved rationalism, threaten the love of his wife, Clarissa, and drive him to the brink of murder and madness. From the Booker Prize-winning author of Atonement, here is a brilliant and compassionate novel of love, faith, and suspense, and of how life can change in an instant. 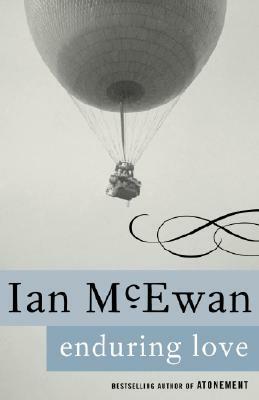 Ian McEwan has written two collections of short stories--First Love, Last Rites and In Between the Sheets--as well as seven novels: The Cement Garden, The Comfort of Strangers, The Child in Time, The Innocent, Black Dogs, Enduring Love, and most recently, Amsterdam.